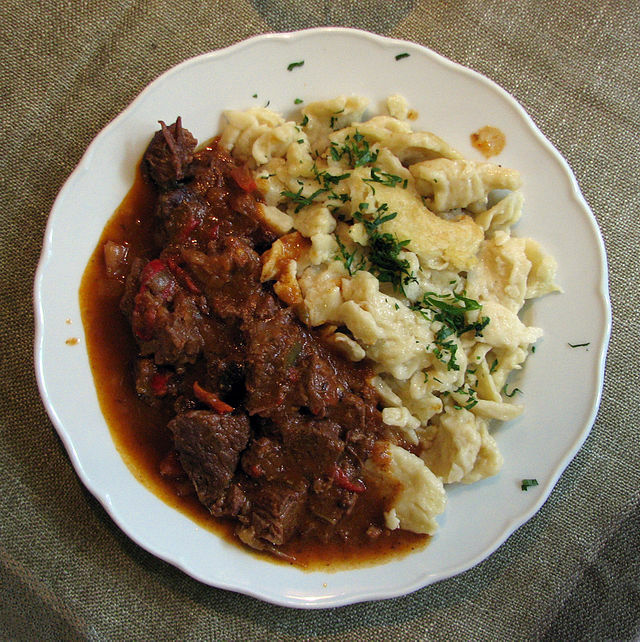 Hungarian cuisine is the cuisine characteristic of the nation of Hungary and its primary ethnic group, the Magyars. Traditional Hungarian dishes are primarily based on meats, seasonal vegetables, fruits, fresh bread, dairy products and cheeses while modern Hungarian cuisine is a synthesis of ancient Asiatic components mixed with German, Austrian, Italian, and Slavic elements. 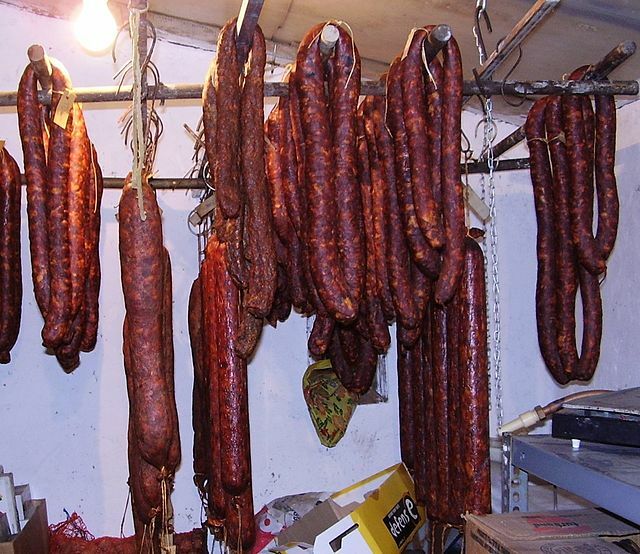 The food of Hungary can be considered the melting pot of the continent. In the 15th century King Matthias and his Neapolitan wife introduced new ingredients such as garlic and onions and spices such as paprika and cayenne, things that no well prepared Hungarian dish could do without today. 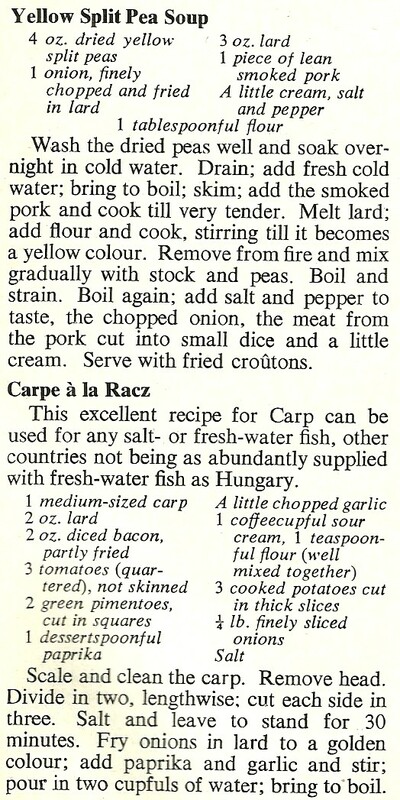 The later influx of Saxons, Armenians, Italians, Jews and Serbs who settled throughout Transylvania and the Hungarian basin brought with them their own recipes. 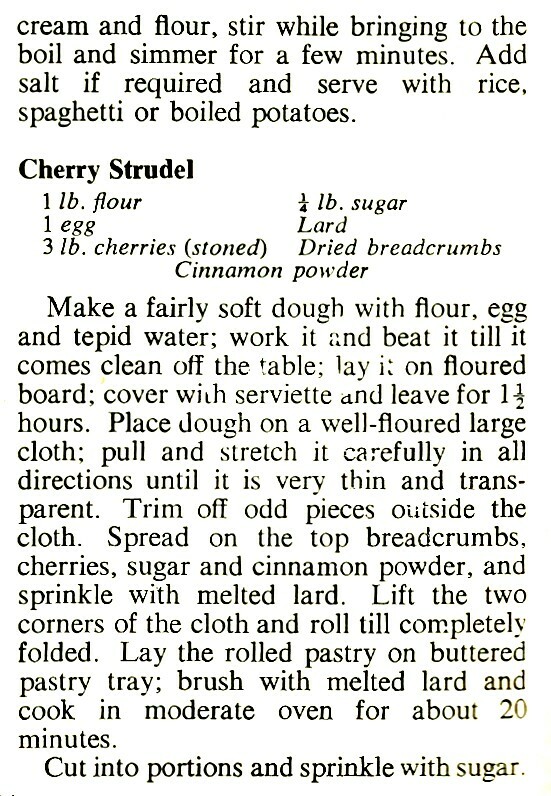 And later, during the Ottoman era, elements of ancient Turkish cuisine began in the form of sweets, cake (bejgli), stuffed peppers and stuffed cabbage (töltött káposzta) infiltrated the already eclectic mix that formed the basis of Hungarian cuisine. 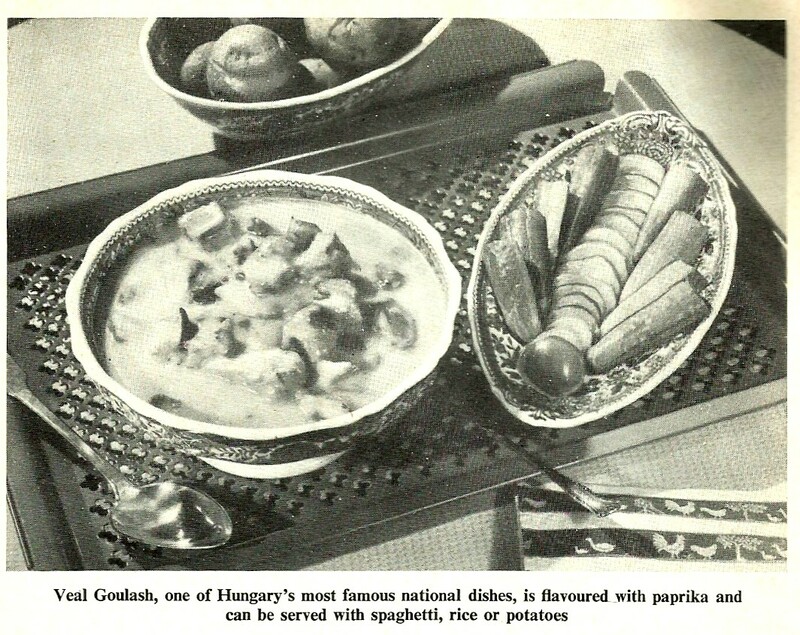 Later still, Hungarian cuisine was influenced by Austrian cuisine under the Austro-Hungarian Empire. Many dishes and methods of food preparation have migrated from one cuisine to the other. 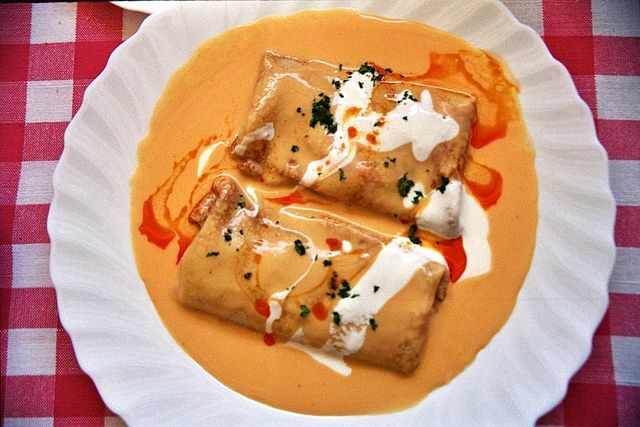 Hungarian cuisine also displays a great variety of regional dishes. The original one is a rich and spicy soup originating from the Northern Plains region. 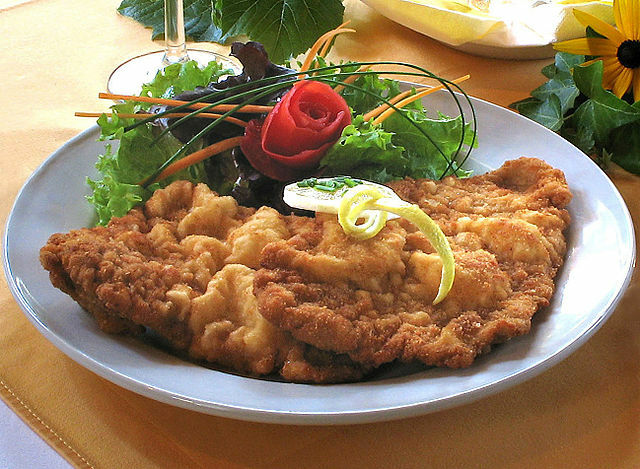 The same area can also be credited with the Hortobágyi (a savoury crêpe filled with veal) and slambuc, (potatoes and noodles cooked with bacon, traditionally over an open fire). The southern part of the Great Plain produces some of the finest vegetables, including red chillis from Szeged, onions from Makó, green peppers from Szentes and garlic from Bátyai while the sausages Gyula and Csaba are made in the area as well. The peach pálinka (a schnapps) from Kecskemét is one of the best in the country. 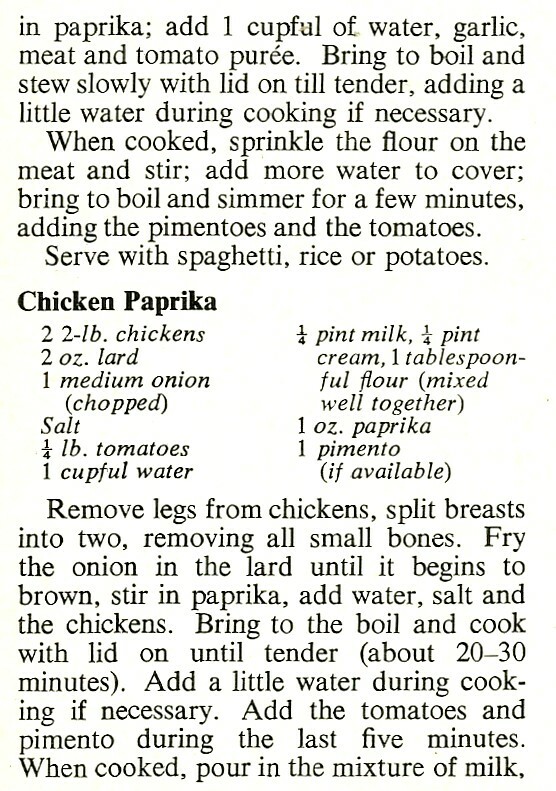 Chicken soup is an integral part of any proper Sunday lunch. The Újházi chicken soup for example is a rich soup packed with all kinds of vegetables, small slivers of chicken and noodles and many styles of vegetable soup and vegetable stews called főzelék as well as cold fruit soups, like cold sour cherry soup (hideg meggyleves). The lecsó is a pretty much universal dish originating from the Balkans made of tomatoes, fresh paprika and onions. There are countless regional variations using grilled sausage, roast chicken, eggs or roasted vegetables. 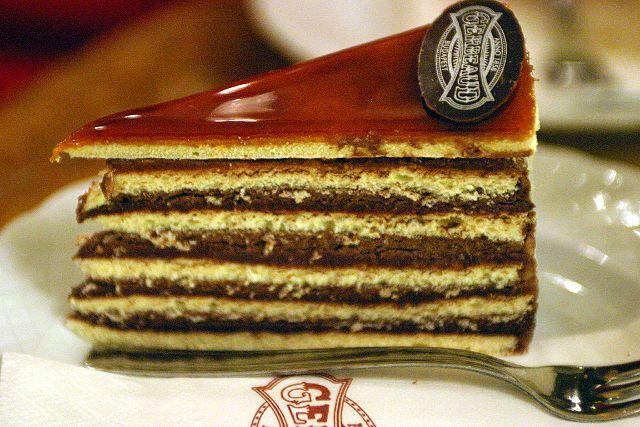 Hungarians are also quite sweet-toothed. The traditional kürtőskalács (chimney cake) is made every Christmas fair, the somlói galuska (sponge cake spilled with rich chocolate sauce) is a well received dessert at every Hungarian restaurant, the Dobos cake is a truly special Hungarian invention,a sponge cake layered with soft chocolate butter cream topped with a thin slice of caramel and crepes (palacsinta) filled with marmalade or vanilla sauce. Hungarian cuisine also uses a large variety of cheeses, but the most common are túró (a type of quark), cream cheeses, ewe-cheese (juhturó), Emmentaler, Edam and the Hungarian cheeses Trappista, Pálpusztai and Pannonia cheese. Other common flavour components include: bay leaf, black peppercorn, caraway, coriander, cinnamon, dill, garlic, horseradish, lemon juice and peel, marjoram, mustard (prepared), oregano, parsley vinegar and vanilla. Less used spices are anise, basil, chervil, chives, cloves, juniper berries, lovage, mace, poppy seeds, rosemary, savory, tarragon, thyme and white peppercorn. 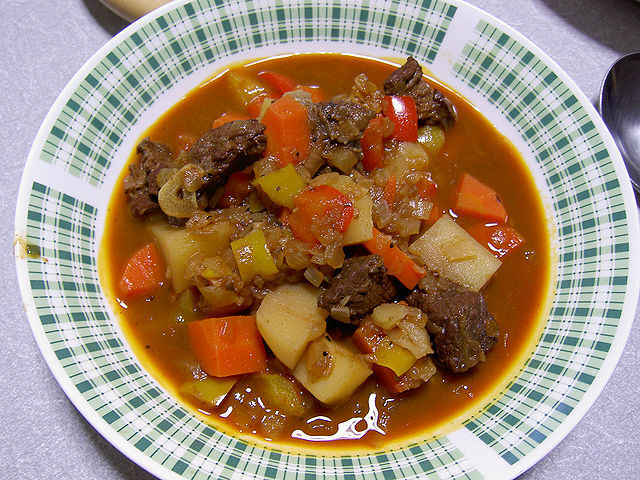 This entry was posted in World Cuisine and tagged Austria, beef, Eastern Europe, garlic, goulash, lamb, paprika, veal. Bookmark the permalink.